Honorable President of Israel, Mr. Reuven (Ruvi) Rivlin and First Lady Nechama Rivlin, Mr. Prime Minister Benjamin Netanyahu and Mrs. Sara Netanyahu, Speaker of the Knesset, Mr. Yuli Edelstein, President of the Supreme Court, Justice Miriam Naor and Professor Arye Naor, Leader of the Opposition MK Isaac Herzog, my colleagues current Justices of the Supreme Court, President of the National Labor Court, the Attorney General, Governor of the Bank of Israel, former Presidents of the Supreme Court, Presidents Shamgar, Barak, and Beinisch, Members of the Judicial Selection Committee, Director of the President’s Residence, the State Attorney, the Director of Courts, the Knesset Legal Advisor, Presidents of the courts, Former Justices of the Supreme Court, judges, attorneys, and distinguished guests. With great excitement, and understanding the weight of this responsibility, I accepted the role of President of the Supreme Court three years ago. According to the legislature’s decree, today the lights go out and I am passing the baton over to my replacement, my colleague, President Miriam Naor. The ceremony for changing the head of the judiciary is a highly significant event in our democracy. Therefore gathered here today are the President of Israel, a symbol of the people’s unity, and the leaders of all branches of the Israeli government. In the Jewish tradition we find many references to the legal system. Our Sages said that “On three things the world stands: on law, on truth, and on peace, as it was said (Zechariah 8,16), Execute the judgment of truth and peace in your gates.” Even in our times Israel must take pride in its legal system: an independent, professional, and efficient judiciary that works tirelessly to improve. The central roles of a legal system are to resolve disputes among individuals and to enforce the criminal law. Yet, the judiciary has another uniquely important task: to serve as the ultimate shield for minority groups from the tyranny of the majority. That the majority may do as it pleases for no reason other than being a majority is inherently wrong, inconsistent with the principles of democracy. Keeping this in mind, the existence of an independent legal system with authority to protect minorities and human and civil rights, including the power to set aside primary legislation by the Knesset, is imperative. In 1947, a day after the UN’s historic decision of November 29, Chaim Weizmann said that “before another year shall pass we must found a Jewish state, we must draft a constitution, form a government…” Our first President’s wish has been partly fulfilled: a state was founded, a government was established, and through the years important basic laws were enacted. But the project of finalizing a constitution is yet to be complete. In my view, the relationship between the legislative branch and the judiciary must be regulated by enacting the pending Basic Law: Legislation, and the sooner the better. Having said that, I wish to emphasize my firm objection to various legislative initiatives aiming to limit the power of the Court. There is no justification for restricting the Supreme Court’s authority to review the Knesset’s primary legislation. Indeed, criticism of one opinion or another is certainly acceptable, as judges are not immune to criticism and we, as all humans, err. Yet in recent years there has arisen a bad habit of expressing unfounded criticisms of judicial opinions for political gain. Occasionally this is done in the form of personal insults toward judges. Such conduct amounts to an attack on our democracy and diminishes public trust in the judiciary. As judges, we all act out of deep dedication. We decide each case according to our conscience and the law. It is hard for us to defend ourselves against unjustified criticism, for judges – in my opinion – must speak only through their judgments. Israel’s economic, social, and technological development is a historic landmark in the existence of our people. Our society looks different today. The Israel of our time is a leading country, progressive and prosperous in all areas of life. Yet societal problems remain. Progress and economic development have given rise to negative phenomena, such as corruption. Corruption contaminates public service and harms public trust in government agencies. The legal system has a central role in promoting ethical public service and eliminating corruption. The courts’ roles I have identified above – resolving disputes, enforcing the criminal law, protecting minorities, and combating corruption -- are all areas in which my colleague President Naor has accumulated extensive judicial experience over her decades on the bench. Of course, President Naor is an expert in all areas of law and there is currently no one in the entire Israeli Judiciary who has served as a judge longer. 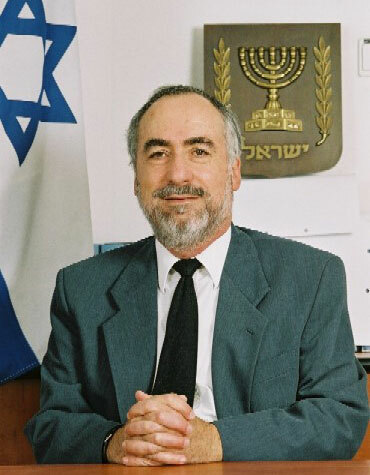 President Naor, today you take the helm of one of the branches of the Israeli government. A heavy load will be placed upon you. The Israeli public longs for a judicial system that is capable of providing just, effective, and speedy services. As you commence your post, you will find a significant difference between the role of a Supreme Court Justice and that of the President of the Supreme Court. The President heads the whole system and is charged with protecting it. She must devote many resources to advance management reforms. She must tend to a variety of problems with the ongoing assistance of the Courts’ Manager. My colleague, President Naor, all the traits necessary to succeed in this complex job have come together in your character. I am confident that you will excel in it and lead the judiciary to many accomplishments. Distinguished guests, the legislature has mandated that judges retire when we reach seventy years of age. Today, it is my turn to end my time on the bench, as part of the eternal turnover of generations in the judicial system. It has been my privilege to be the tenth President of the Supreme Court. There no greater responsibility, and no greater honor. I could not have fulfilled this role without the unwavering support of my dear family. I wish to thank you all from this podium. Dear Mira, my blessing and wishes for success.